DC Comics is borrowing heavily from the greatest story ever told with a new superhero who most certainly has a savior complex. The comic book publisher is introducing a new character this spring, and his name is Jesus. The new series, “Second Coming,” is written by Mark Russell and illustrated by Richard Pace. The comic book is set to debut in early March, according to Comic Book Resources. But readers shouldn’t expect an orthodox understanding of the Son of God from the forthcoming comic. In fact, the series diverges quite a bit from the biblical account. 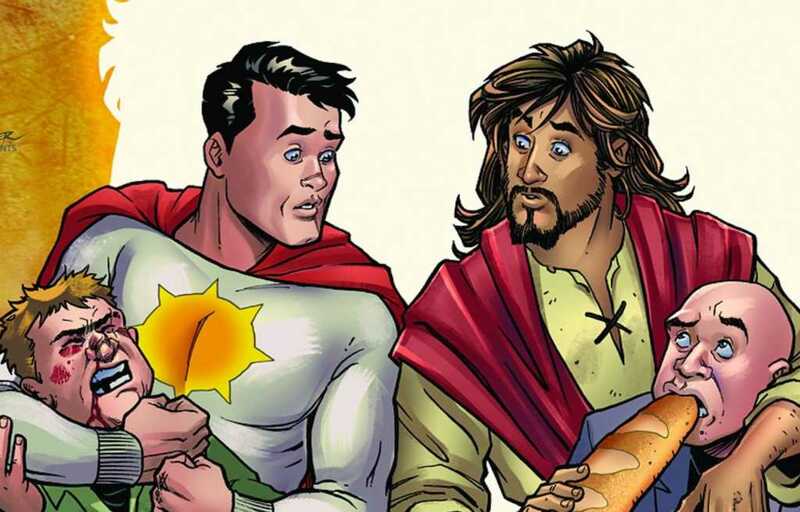 Witness the return of Jesus Christ, as He is sent on a most holy mission by God to learn what it takes to be the true messiah of mankind by becoming roommates with the world’s favorite savior: the all-powerful superhero Sun-Man, the Last Son of Krispex! But when Christ returns to earth, he’s shocked to discover what has become of his gospel — and now, he aims to set the record straight. The main thrust of the new series — that Jesus needs to “set the record straight” regarding the Gospel — is born out of Russell’s own issues with Christianity. The series is expected to comprise six issues.